Kayness' Art Blog: FZD: Design Sketching 2 Week 3 ft. Tiktaalik, PZ Myers, Genghis Khan and more. 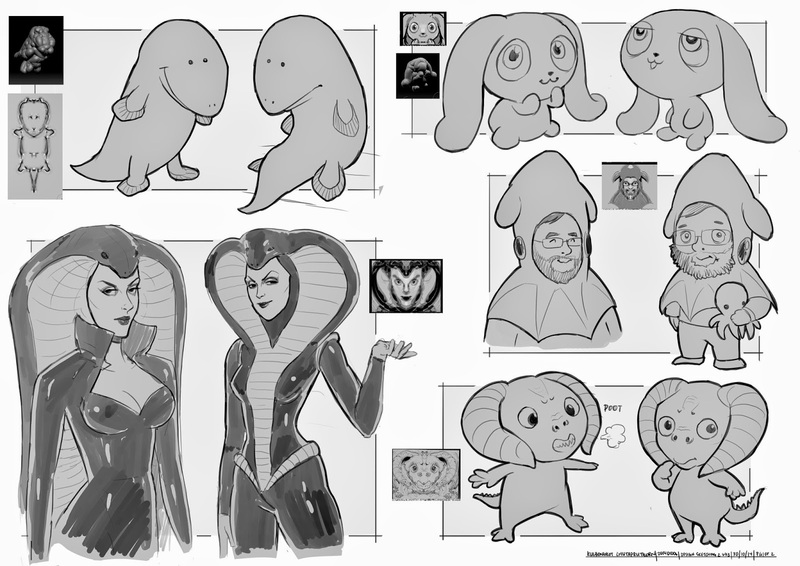 FZD: Design Sketching 2 Week 3 ft. Tiktaalik, PZ Myers, Genghis Khan and more. 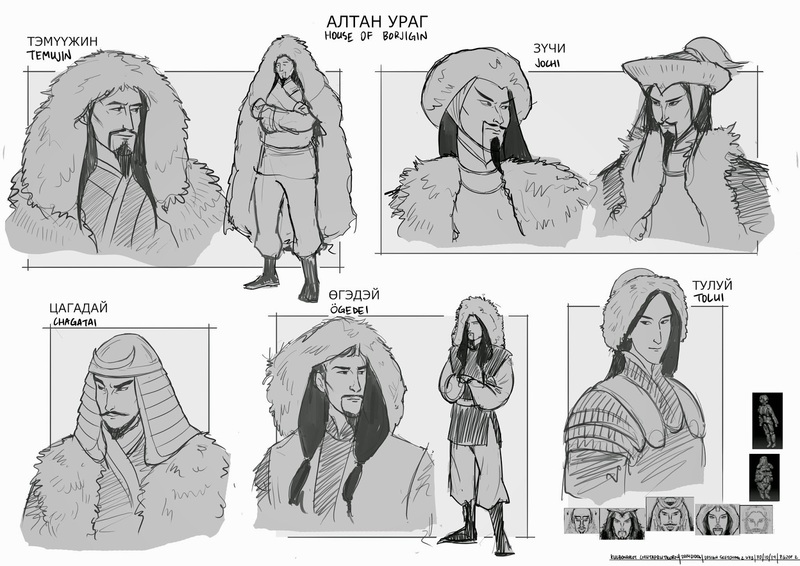 Trying to find a theme for this class and develop those concepts, and I think I found it; drawing those pretty Borjigin boys: Temujin aka Genghis Khan, Jochi, Chagatai, Ogedei and Tolui. The first page is a one-off though. Featured are: Tiktaalik, Marshmallow Lopbunny, The Cobra Lady, PZ Myers in a vampire squid poncho hoodie cuddling his octopus plushie and Dopey Goatmonster.